There's nothing like a cuddly cat or dog to give you a warm and fuzzy feeling inside. If you need a pick-me-up, look no further. These pictures of sweet little pets are bound to make you smile, even if you’re having a case of the Mondays or a wacked-put workweek. 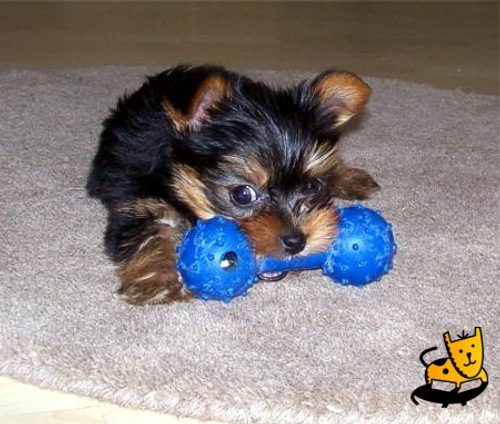 This darling Yorkshire terrier named Lacie is just about the cutest thing we've ever seen with that shy look on her furry little face. 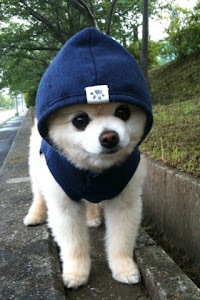 Her owner submitted her picture to dailypets.co.uk, and when we found it, we just couldn't resist. That bone is as big as she is! 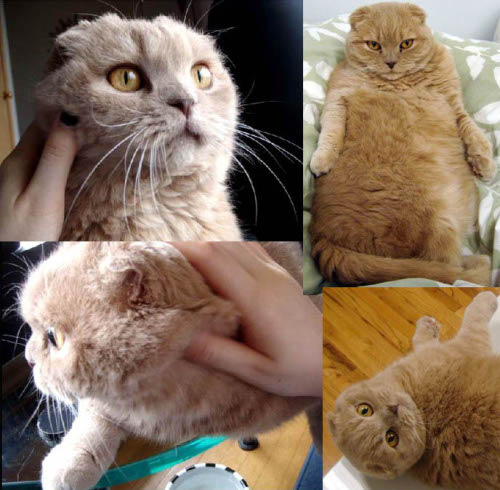 This purebred Scottish fold cat named Basil Yuen Farrow is owned by a woman named La Carmina, who is set on making him famous. (After all, in her blog, she claims her kitty was once owned by Mia Farrow.) She even made Basil a focal point of her blog and of other ventures she's cooking up. This 19-lb. 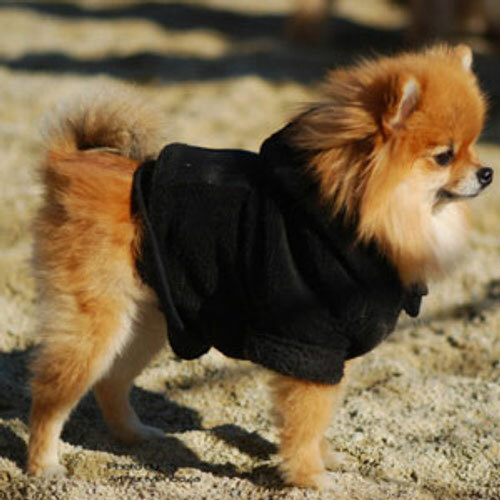 Pomeranian named Tinkerbell was recently voted as Woman's Day's Cutest Pet of the Day. Her owner submitted a picture of her, and it paid off. We wonder if the tee shirt adds some extra weight. Can you believe that anyone would abandon a dog this adorable? 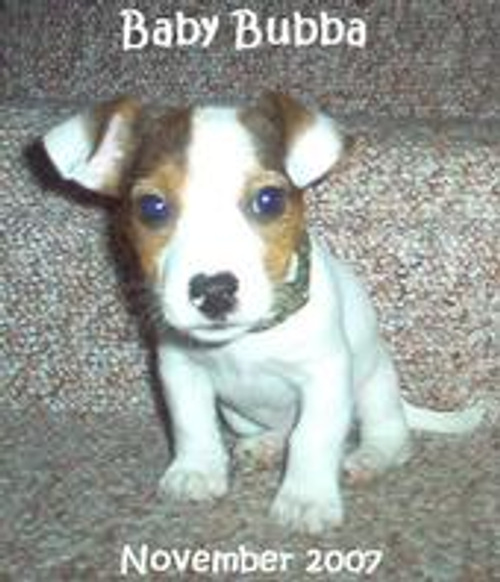 His new owner found this Jack Russell, whom she named Bubba, alone and almost freezing to death on the side of the road. She took him in, and now his favorite thing to do is curl up on her lap while she studies--to be a vet tech. How fitting! Pets Factor: meet the final 30 - and get voting!